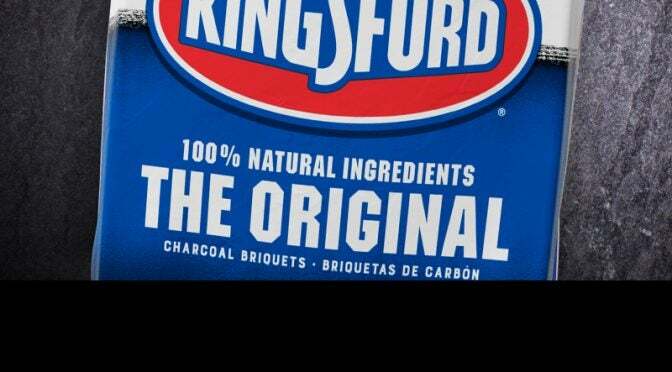 Since 1920, Kingsford® Original Charcoal has been the gold standard of grilling. Made in the USA* with 100% natural ingredients, including North American wood, Kingsford® Original gives BBQ lovers the smoky wood-fired flavor they crave. Our Original briquets are great for any grilling occasion. Whether you’re smoking a brisket, grilling up vegetables or firing up the grill at your next tailgate, Kingsford® Original delivers the best in authentic BBQ flavor. In fact, Kingsford® lights faster† and burns longer‡ than competitive brands, giving you the ultimate grilling experience — every time. Available in a variety of sizes, from 4-lb. to 2x20-lb. bags. † Compared to nationally available conventional charcoal in the U.S.A.
‡ Compared to the leading store brand charcoal in the U.S.A.
•	Do not add lighter fluid directly to burning or hot coals. *Compared to other charcoal brands.